Blazing speed makes this DVD writer a trailblazer. 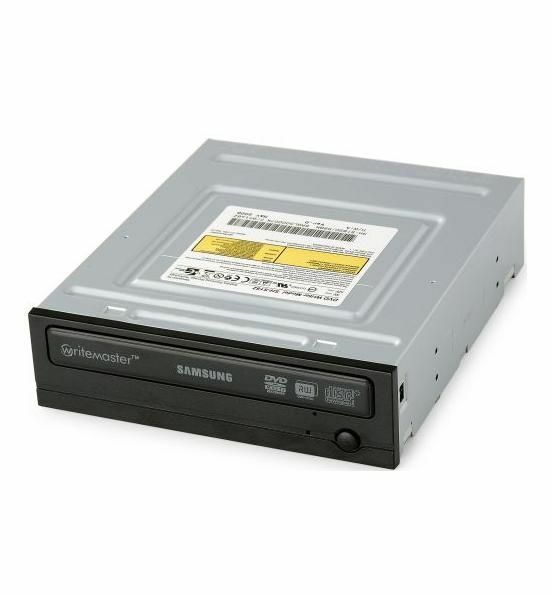 Always at the forefront of speed technology, Samsung produces some of the world’s fastest DVD writers. Enhanced and enabled by Samsung WriteMaster™ technology, this lightning quick writer intuitively detects the media type and automatically writes in the optimal speed for the disc. So all you have to do is just click to burn your disc. But don’t walk away - it’ll be done before you have a chance to make a cup of coffee. Low heat. Low noise. Low power consumption. How low can it go? Samsung’s ultra-reliable, easy-to-use, easy-to-install DVD Writer not only reduces heat and CO₂emissions, its unique aerodynamic frame was also engineered to reduce acoustic and airborne noise by preventing pressure concentration in specific areas. As eco-friendly as it is user-friendly, this dynamic DVD Writer delivers high performance on low power consumption, helping you do your part to maintain an energy-efficient home and promote a green lifestyle.